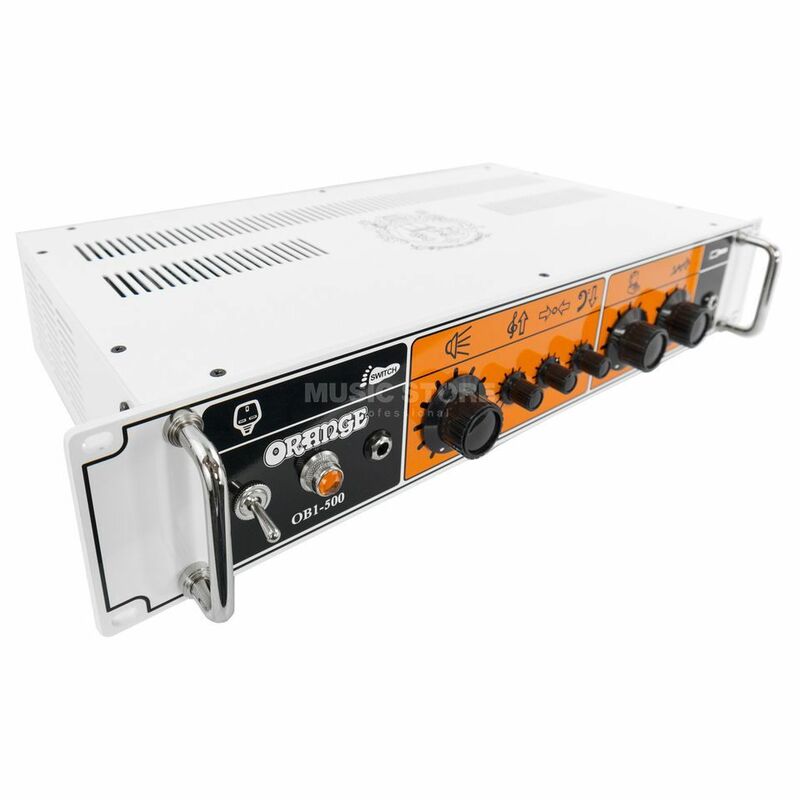 The Orange OB1-500 Bass Guitar Amplifier Head is a 500 Watt class A/B, rack mountable bass head. Bassists over the years have been combining bass and guitar amps to add harmonics and layers of overdrive. This trend got the folks at Orange thinking. Why drag two amps to the show when you could just take one. And with this, the OB1-500 was born. The OB1 features a 'bi-amp' inspired design, meaning it splits the input signal into two separate paths, one for clean, one for distortion. The clean side gives you all the clarity you'd expect from Orange, and the other side gives you two stages of distortion to the upper harmonics only. This is controllable via the Gain knob. Using the Blend control, you can combine these two elements, adjusting the mix of clean and dirty. These Gain and Blend controls allows for almost anything, from the most subtle level boost to a fully saturated, savage tone. The OB1's active three band EQ is highly sensitive and has been built for maximum effect, with minimal fuss. The EQ is placed after the Gain and Blend in the amplifiers signal chain, allowing you to control their huge sonic range. The Bass and Middle controls, control +/- 15dB of cut or boost, while the Treble control has a range of +/- 20dB. All circuitry on the OB1 is completely analogue. This gives it an expressive and musical sound, even when the gain levels become ridiculous. It's housed in a rugged, power coated, 19" (2U) rack mountable housing. The front is finished with Oranges classic 'pictures only' styling.